Living a Fit and Full Life: Glam Out for the Holidays with wet n wild’s Holiday Collection! Glam Out for the Holidays with wet n wild’s Holiday Collection! wet n wild is cruelty free, and always has been! They also make it a point to work with cruelty-free, third-party vendors. wet n wild's products are some of the best-priced on the market. wet n wild's products are super safe: In fact, in a study that tested over 400 lipsticks, wet n wild lipsticks came out on top as the brand with the least (or no) lead content. The Campaign for Safe Cosmetics detected no lead in wet n wild lipsticks. Looking to light up the holidays? These glamorous lashes are the icing on the cake of your winter look. 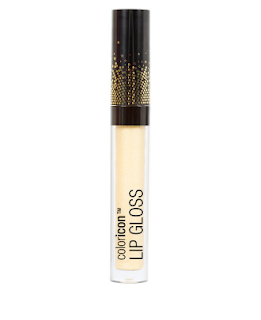 This prismatic lip gloss will illuminate your lips with a silky shine. This holiday must-have will keep you camera ready at all times. Ultra-glossy, high-shine formula that can be worn alone or on top of lipstick for a slick look. With 4 exclusive holiday shades your nails will be ready to celebrate, wrap presents and ring in the new year! Glam Out for the holidays with wet n wild’s holiday collection! 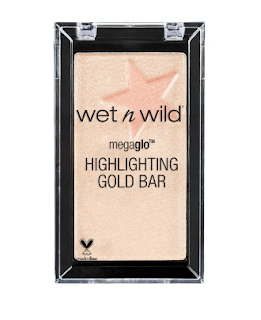 I love everything about the holidays and I'm so excited to see some new beauty products from wet n wild hit the shelves just in time for the holidays. wet n wild's Gold Bar Highlighting Powder is awesome! It gives you the perfect highlights and blends easily for an immaculate finish. wet n wild's False Lashes are perfect for the holidays! I love, love, love false eyelashes but for me they're just not appropriate for everyday wear but for the holidays I definitely wear them as often as possible. 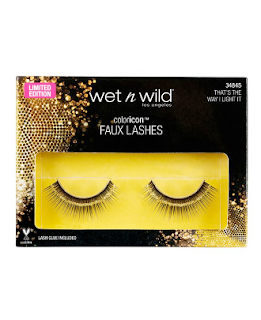 wet n wild's False Lashes have a bit of extra flare that's perfect for the holidays and will definitely catch some attention this holiday season. I also really like wet n wild's Prismatic Lip Gloss! It comes in 4 shades that are sure to illuminate your lips with a silky shine that will last all night. Complete your look with wet n wild's Megalast Nail Polish, Available in 4 shades that are just as stunning as can be. I love the added sparkle to make your nails stand out this holiday season whether your wrapping presents or showing off your new ring your nails are sure to be noticed! 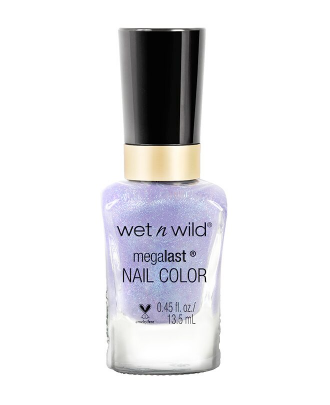 Click HERE to find a store near you that sells wet n wild! Click HERE to learn more about wet n wild! Follow wet n wild on social media!